ASM Educational Center, Inc. (ASM) located in the Greater Washington DC Metropolitan Area is Authorized under Federal law by the US Department of Homeland Security (SEVP: Student Exchange Visitor Program) to enroll nonimmigrant alien students. Washington D.C. is a vibrant, multicultural world-class city that ranks among the best in the world. It’s a city full with museums and monuments that are among the most visited in the USA, historic neighborhoods, festivals, entertainment venues, shopping, and a wide variety of international restaurants. It even has 5 professional sports teams! By choosing a US Education, you join more than 900,000 international students who benefit from studying at some of the world’s best Educational Institutes each year. 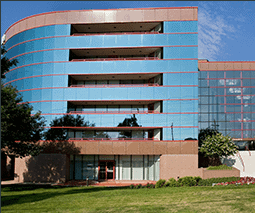 ASM’s HQ facility is located in Rockville, Maryland (30 minutes from Washington DC). State of Maryland is one of the 50 states in the United States of America. Maryland was one of the original 13 US States. Maryland has so many different natural features that it is named “America in Miniature”. There are parks, beaches, mountains, forests, and countryside. The Chesapeake Bay, the largest estuary in the United States is also in Maryland. The weather in Maryland is usually comfortable. Fortunately, Maryland has all 4 seasons. The average temperature in Summer is around 85 degrees Fahrenheit (30 degrees Celsius). The average temperature in Winter is around 45 degrees Fahrenheit ( 7 degrees Celsius). The Spring and Fall are very beautiful with mild temperatures, bright sunlight and breathtaking views. ASM had the pleasure of providing Training to variety of International Students from around the globe. Please click here to see list of countries served by ASM. ASM can offer a variety of training subjects (IT/Technical, English and more). Please see ASM’s extensive list of course offerings throughout our site by clicking here. ASM has served self-funded individuals as well as company-sponsored groups. ASM has also created customized curriculum/program based on our customer’s needs. 1. I-20 Application Fee: Make a deposit of USD $595.00 (non-refundable). Send us an e-mail notifying deposit payment, with your complete and updated address. You can also click here to pay via PayPal/Credit Card. 2. Upon receipt of application fee along with complete set of requested documents, we will send you a “draft” of I-20 for your review. 3. Upon complete verification of I-20 accuracy, we will send you the Original I-20 along with supporting documents (including Acceptance Letter, Instructional Letter, and Cover Letter) via express mail. Tracking information will be provided. 4. After receiving I-20 Form issued by ASM, proceed to make your Visa Appointment at a US Embassy and apply for M-1 Visa (the student visa) by presenting the “Original” I-20 Form we issued to you along with complete supporting documents as per the “checklist” which will be included in your package. 5. Once you get your visa, please contact us immediately to make financial arrangements. The tuition fee must be FULLY deposited into our bank account (at least 2 weeks prior to first day of class) before you can start your training. ASM has the right to deny access to training if “full” tuition fee is not paid on time. IMPORTANT: International Students are not eligible for our Scholarship Program. To be eligible for our Scholarship Program, the student must be a United States Permanent Resident or US Citizen. Also, we don’t offer any Grants to International Students.